About a year ago, I was drawn in, like much of America, to a TV show called Feud, from producer Ryan Murphy. It was all about a real-life rivalry between actresses Bette Davis and Joan Crawford, centered around their time filming their classic, Whatever Happened to Baby Jane? It made for some riveting watching, not only because the acting was superior, but because the story was just so painfully fascinating. It spoke of how two women who could have been friends, and could have supported each other, guided each other, in the cutthroat world of Hollywood, were instead pitted against one another, not only in their own minds, but in that of the greater public, and even the Hollywood system that declared them rivals in the first place. In the aftermath of this feud, I found myself asking, could these actors have gotten bigger and better at their work if they worked together-- instead of just tangentially? Rivalries are inherently fascinating to me, because they typically affect not only the individual rivals themselves, but also a whole ecosystem that can grow up around a rivalry-- spurring it on, and enabling it. Rivalries, in many ways, can actually be good-- they can enhance a sports team’s motivation, for example, and cause a bond to form between those who support a particular faction. But then again, they can also cause friction, stress, even unethical behavior like cheating-- anything to get ahead and win that rivalry. Indeed, it’s great drama at its best. And it’s not only sports heroes and movie stars that have gotten into the rivalry action. Some of the greatest artists in history have engaged in some seriously curious conflicts. What causes these rivalries is fascinating and vast-- is it art and creativity? Is it money and patronage? Or is it simply ego? And are the artists really in conflict with one another, or does it just appear that way, to us, or to their communities? How have rivalries impacted art? Some people think that visual art is dry, boring, lifeless. But the stories behind those paintings, sculptures, drawings and photographs are weirder, crazier, or more fun than you can imagine. Today, we are starting an all-new season of episodes dealing with some of the wildest and most complicated rivalries in art history, beginning with the purported feud between Northern European heavyweights Judith Leyster and Frans Hals. Welcome to the third season of the ArtCurious Podcast, exploring the unexpected, the slightly odd, and the strangely wonderful in Art History. I'm Jennifer Dasal. 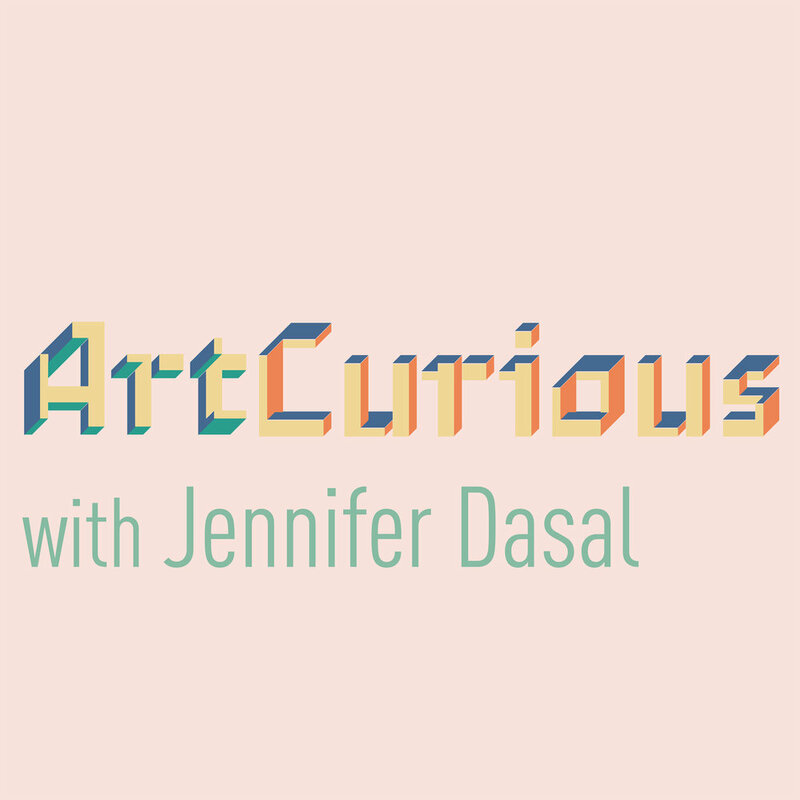 Over the course of this season of the ArtCurious podcast, we are going to examine the rivalries between eight groups of artists, and we’ll be hopping back and forth across time and space to do so. Today we are going to locate ourselves squarely in the Netherlands during the 17th century, which is widely praised now as the Golden Age of Dutch painting. It was a Golden Age for the whole country, actually, because the Dutch Republic, as it was then called and comprised not only part of modern-day Netherlands, but also parts of Belgium and Luxembourg, was in the midst of an incredibly prosperous time following their victory in the Eighty Years’ War, wherein they sought independence from control by Spanish forces under the leadership of Philip the Second of Spain. And not only was the Dutch Republic prosperous, but it was ridiculously so-- at the time, it was the wealthiest country in all of Europe and led the way not only in things like trade, and marketing, but also made huge strides in science and, of course, art. And what happens when you have a really rich citizenry who have newly found independence and freedom, not only from foreign tyranny but also their religious precepts? Well, you have a crazy-substantial increase in the interest for art. People were buying. And they wanted to buy anything and everything. This is the wonderfully arty world into which Judith Leyster came into being. Judith was born on July 28, 1609, in the city of Haarlem, into a large family of cloth makers-slash-brewers. What’s interesting to me as an art history nerd is that her pursuit of art seems to be pretty independent, meaning that she was inspired to do so not because of a family interest or tradition. As we’ve noted in previous episodes of the ArtCurious Podcast, the majority of female artists up to the 20th century were taught by their (mostly male) family members-- fathers and brothers, especially. But not Judith. In fact, it’s not totally clear how and where she began to paint- and we’ll be coming back to that shortly-- but what we do know is that Judith was an independent working artist by the tender age of 18, achieving local fame by age 19, and soaring to new heights when she was purportedly the first woman admitted to the art guild of Saint Luke in Haarlem at the age of 24 in 1633. We might want to take this “first-ever” delineation with a grain of salt, though, because there’s been some debate that perhaps dozens of other women may have been part of the guild during the 17th century, but the media that many worked in weren’t considered to be of primary importance -- meaning that they were so-called “women’s arts,” like embroidery, pottery painting, and so forth. And because these were media focused on, around, and by women, the records for such artists and their creations are spotty at best. Regardless, Judith Leyster was a painter, and was admitted to the Guild as such-- and as far as we know, only one other woman was admitted in painting by the end of that very century. Looking at Judith’s self-portrait, a famous piece of bravura painting that can be found today in the National Gallery of Art in Washington, D.C., it’s easy to see why she was so celebrated. In the painting, we see Judith-- all dressed up in her finery, with an incredible gravity-defying lace collar-- painting a portrait of a laughing man playing a fiddle or a violin. This was a subject matter typically referred to as a “tronie,” which shows a kind of stock character with an exaggerated facial expression. Some tronies celebrated the senses, presenting us with representations of taste with people imbibing heartily in drinks, or smelling flowers. This one might very well be all about sound, as if we can imagine the music coming from the canvas that Judith is painting. But then there’s the best part. It’s Judith herself-- while we are looking at her, she’s looking at us directly. And… she’s smiling, with her mouth partly open. It’s almost like we can imagine that she’s about to speak with us. She’s so engaging, casual, relaxed, and friendly- looking. And that’s all before even engaging with her loose, beautiful brushstrokes that make her so wildly contemporary-feeling. Leyster is the whole deal. And this little painting captures so much of what is great about her. Judith Leyster’s big year came when she was 26. By that time, she was not only very well-established as an artist, but she was also teaching other artists, as she had at least three students apprenticing with her by that point. But a major change came that same year, too, which may have had lasting ramifications for Judith’s career. It was then that she married a fellow artist named Jan Miense Molenaer, and it is during this point that her career peters out, possibly in favor of managing his career. Only a few works of art have come to light that can be dated to Leyster’s post-wedding period, and many historians have blamed the marriage--or even Molenaer himself-- as stunting Judith’s artistic growth and development. But as author Bridget Quinn notes in her wonderful book Broad Strokes: 15 Women Who Made Art and Made History (in That Order), not only was Judith dealing with the trials and travails of running a household which include five--FIVE--children, we also need to come to grips with the fact that throughout most of modern art history, the majority of her works were so good that for the longest time they were assumed to have been created by another famed--and more famous-- painter. Bridget Quinn describes a scene of an infamous 1893 discovery of a new, incredible Dutch painting at the Louvre and the exuberance surrounding it--and the immediate comedown when the Louvre then realized that that old Judith Leyster had completed the work and not their hoped-for and vastly beloved Frans Hals. Frans Hals was born sometime in either 1582 or 1583-- no one is quite sure exactly when-- in Antwerp, but he moved to Haarlem with his family only a couple of years later, and so he grew up in the same Golden time and place as Judith Leyster, except that the had the advantage of more than twenty years on her to get himself established. He began his career as an art restorer, interestingly enough, before segueing into becoming one of the preeminent portrait painters of the Dutch Republic in the entirety of the 17th century. One of the things that makes a Frans Hals painting so wonderful is their loose and lively brushstrokes-- wherein the paint looks like it is still in the process of drying, it looks that spontaneous and fresh. And because of this, his portraits are sprightly and bright and engaging in a way that many other Dutch paintings-- all formal and dark-- just...aren’t. So it’s pretty easy to see how and why Frans became so popular. Himself a member of the Guild of St. Luke’s, like Leyster was, he was sought after for so long as the best painter of the glitterati of Dutch society. Not that things were always easy for him. It appears that trouble has followed the Hals legend right from the start, and continues, somewhat erroneously, to carry on today. First and foremost, there was his personal life. His first wife died early, as did two of their children. Adding insult to injury, people began speculating that Hals had beat his poor, now-dead wife, but it turns out that that’s totally bogus. Strangely enough, there seems to have been another Frans Hals living in Haarlem at the same time-- and he was the abusive monster, not this artist himself, so that’s good, at least. But his second wife was something of a firecracker, and though their marriage was a good one, Hals still had to deal with the fact that his wife was arrested multiple times for participating in public brawls. And then there was his subject matter. When Hals wasn’t painting the aristocracy in all their fancy threads, he was painting what might lovingly be called the riffraffs. Gypsies, musicians, prostitutes, carousers, and lots and lots of drunks. We’re talking leery eyes, squinty smiles, and wide, laughing mouths. Just take, for example, his Gypsy Girl, which can be found today at the Louvre. Glancing off to her left side with unkempt curly hair and her exceedingly ample breasts just threatening to come free from her low-cut blouse, this girl is all fun, and she knows it. She’s smiling, and looks like she’s in the middle of a really good time. The bright and casual way that works like Gypsy Girl were made makes me love them so much more than his “official” commissions-- but to contemporary society, oh boy. All it could do was stir the rumor mill. And that certainly didn’t help the money to come pouring in. On top of it all, Hals often wound up in debt and ended up being sued at one point or another by a passel of people that makes it sound like a nursery rhyme: his butcher, his baker, and his shoemaker. The baker, by the way, was very famously paid off by a lien on Hals’s property and several portraits. Man, I sure hope those stayed in the family. Another famous story about Hals and his difficulties is an anecdote dating from 1633 which pits him against the Amsterdam Crossbow Civic Guard, who sought a group portrait from a talented artist. Impressively, they passed over locals stars, including a little someone named Rembrandt van Rijn, and chose Hals as their anointed one. But the project did not go smoothly. Hals delayed-- for years. And once he started getting to work, he began bickering with the Civic Guard as to whether or not Hals would travel to Amsterdam to complete the portrait-- or if the Civic Guard would travel to Haarlem to sit for their artist. It boggles my mind that Hals would insist that a whole rabble of men would travel to see him instead of acceding to travel to see them, but hey, I’m not a hugely famous sought-after artist. Unfortunately for said artist, though, the Civic Guard ended up firing him in 1636, and passed the project along to another prominent painter. In the midst of Frans Hals’s problems with the Amsterdam Crossbow Civic Guard, he had a little run-in with Judith Leyster, too. But we have to back up for a minute first. Though it hasn’t been verified and no documents exist to confirm it, it’s entirely possible that Leyster and Hals already had a working relationship, as many art historians, like Leyster profiler Olga Opfell, widely believe that perhaps Leyster herself had apprenticed with Hals, learning at the master’s feet, so to speak. But here’s some kind of truth: their style of working and the typical subject matter that both flocked to are similar enough to presume that one must have taught the other. And truly Hals himself wouldn’t have balked at getting a paycheck for tutoring yet another student. Interestingly enough, the issues between Leyster and Hals stem from a student-teacher relationship that had gone sour. By 1635, Leyster was already mentoring at least three students, all male, one of whom ended up making a bit of a stink. His name was Willem Woutersz, and Leyster had agreed to take him on as her apprentice, but only after three or four days, Woutersz abruptly jumped ship and abandoned Leyster in favor of working with another artist. Guess who it was. Yep. Frans Hals himself. But this wasn’t kosher, on multiple levels. First off is the fact that Leyster was due some funding for her work as an instructor, which Woutersz and his family didn’t provide. And second, as a guild member, this just wasn’t done. There were proper channels for this kind of behavior, and permissions and guidance were supposed to be sought if a student wanted to break free. I think of this all as a typical bureaucracy-- think of a university system, for example. You can’t just up and change your major and cancel all your classes without filing a bunch of papers, getting your advisors to sign off and on to everything, and doing things in a particular order. Woutersz didn’t do that, first of all. But also, neither did Hals. Hals should have asked permission from the guild before accepting Leyster’s student. To make matters worse, Leyster demanded that if Woutersz wasn’t going to pay his tuition right away, then he’d better return to her studio, fast, and continue on as agreed. But Hals he wasn’t about to relinquish his new student back to his original instructor. And so, Leyster brought forward a case against Woutersz and Frans Hals. Leyster brought the issue to the attention of Hendrick Pot, dean of the Guild of St. Luke, who them brought it to the attention of the guild’s governing board. And that’s when Hals was finally told to come to Jesus, so to speak. He was ordered to immediately turn Woutersz away from his studios, because Hals already had the maximum number of apprentices and students that the guild would allow. If he refused, Hals would have been out a significant amount of cash, because not only would he be fined for his insubordination, but then he’d also have to pay a kind of “new student or apprentice fee” to the guild. What’s unclear is whether or not the payment of the fee and the fine would have permitted Woutersz to stay with Hals-- but that’s a whole other matter. And then there was Judith Leyster’s side of the demands. Even though Woutersz had only been at Leyster’s atelier for a couple of days, she insisted on being paid three months’ worth of tuition, probably as reparation for losing an assistant so quickly and without going through the Guild. The Woutersz family balked-- that price was way too high-- but they ended up by reconciling and splitting the difference, with the family paying Leyster for about 1 ½ months of tuition. And with that, the financial and bureaucratic squabble has finally put to rest, and it was business as usual. Right? Well, the question still remains as to whether the squabble over Woutersz permanently damaged the relationship between Leyster and Hals. Remember that these two had possibly worked together in their own teacher-student relationship, so they may very well have had a significant history together. But their friendship may not have survived the apparent breach, and a cryptic piece of evidence was found in the Leyster-Molenaer home following the death of both artists-- Judith in 1660, and Jan in 1668. Two paintings were listed in an inventory of Molenaer’s possessions-- two portraits of the couple, which were found in an annex after Molenaer’s death, with one painted by Molenaer and the other seemingly painted by one Frans Hals. So, what does this mean, exactly? Well, it turns out that no one’s quite sure, really, and that what little evidence there is leaves a lot of room for interpretation. According to authors Pieter Biesboer and James A. Welu, authors of the book Judith Leyster: A Dutch Master and Her World, there’s a possibility that Frans Hals himself didn’t paint these portraits, but that Frans Hals the younger did-- Frans Hals’s senior’s son, naturally, who himself became an artist and would have been about eighteen when these portraits were painted. So, certainly he could have painted them, and he was, indeed, a known painter, mostly notable for his still lifes. Or perhaps Frans Hals the Elder did paint the portraits prior to the couple’s wedding, before the ruckus with the Guild all went down. If it was painted after the fact, though, by Frans the Elder, then it would be a gentle signifier that all things did go back to normal, after all, and that the two were friendly enough to come together for an intimate family portrait. But what actually happened to this potential Hals portrait of Leyster and Molenaer. I can’t tell you, because I can’t seem to find it. The probable Molenaer painting surfaced in the 20th century. But this Hals? Not yet. While the financial duel between Judith Leyster and Frans Hals was an interesting dramatic point in both of their lives, it’s actually the least interesting of the rivalries between them. And yes-- I mean rivalries, as in two. Because the other half of the rivalry is one that was spurred on hundreds of years after both the artists had died. Follow me here. Shortly after her death, Judith Leyster was largely forgotten- and despite the fact that she signed her paintings with a special monogram-her initials entwined with a shooting star, a fabulous pun on her last name, which translates to "lode star" or "polestar" in Dutch-- the vast majority of her works were nevertheless attributed to men-- and not only Frans Hals, but also to her husband, Jan Molenaer. Even that incredibly enchanting self-portrait by Leyster was credited to Hals and was assumed for centuries to be a portrait of one of the artist’s daughters. And it wasn’t until that 1893 incident at the Louvre that Judith was rediscovered and brought back into the fold of the art historical canon. And when the first catalogue raisonne of her work, completed by the great Frima Fox Hofrichter, finally, finally appeared in 1989, it listed dozens of works of art previously assigned to male artists. The fact of all of this is that it comes down to the supreme patriarchal nature of the arts throughout all of history-- art history is also supremely white, which is another undeniable fact that sorely needs rectifying. We’ve talked a lot about the maleness of art history in previous episodes of the show, but it bears reiterating. There was (and probably still is, for some) this concept that if an artwork is really, really good, then it can’t have been created by a woman. And painting and sculpture, for example-- long considered the very top of artistic production-- was so technical and precise that only men could, or should, be able to undertake it so successfully, which is why women were so often relegated to those lesser categories, like embroidery and textiles. The real rivalry between Leyster and Hals was one that was foisted upon them by the generations of scholars who came after who basically followed this male-centric thinking and automatically assigned Leyster’s paintings to male artists. Leyster and Hals weren’t technically artistic rivals during their lifetimes. Their run-in regarding Willem Woutersz was far more mundane. What rivalry that remained had nothing to do with them, really, and more about how they were perceived: Frans Hals the undeniable master, maker of all things golden in the Golden Age. Judith Leyster: who’s that, some lady? It’s in these moments that I’m supremely grateful that art history is, and has been, making wonderful strides in becoming more inclusive and diverse. But the fact that we so frequently pit artists against one another who may not have actually squabbled seriously in real life still reminds me that we have so far to go. Next time on the ArtCurious Podcast, it’s a sneaky war of back-biting and slander between two of the Renaissance greats. That’s coming up in two weeks-- don’t miss it. Thank you for listening to this first episode of the third season of the ArtCurious Podcast. This episode was written, produced, and narrated by me, Jennifer Dasal, in association with Sartle.com, who provided much of the research for this episode. This is the first of three episodes this season that we are doing in collaborating with Sartle. Sartle encourages you to see art history differently, and they have a plethora of incredibly fun and informative videos, blog posts, and articles on their website. Check it out at sartle.com. Our theme music is by Alex Davis at alexdavismusic.com, and social media help is by Emily Crockett. Our production and editorial services are provided by Kaboonki Creative. Video. Content. Ideas. Learn more at kaboonki.com.